Lustica Bay The 690-hectare space we call home but, when faced with a landscape and cultural legacy like Luštica Bay’s, could almost be seen as common sense. Montenegro’s coastline enjoys an abundance of natural beauty, so we will protect it at all costs. Its local people are rightly proud of their history, so their style and spirit will be everywhere evident. And, as both its location and its culture are perfectly suited to a healthy, active and sociable way of life, every element of the development will be intended to encourage residents and visitors to embrace this. 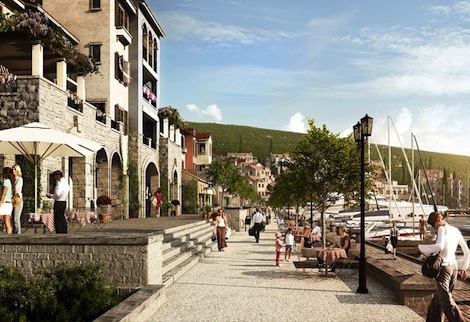 A joint initiative between Orascom Development Holding and the Government of Montenegro, Luštica Bay has thus been designed as a highly sustainable and highly sociable coastal community, driven by the healthy lifestyle its location affords. 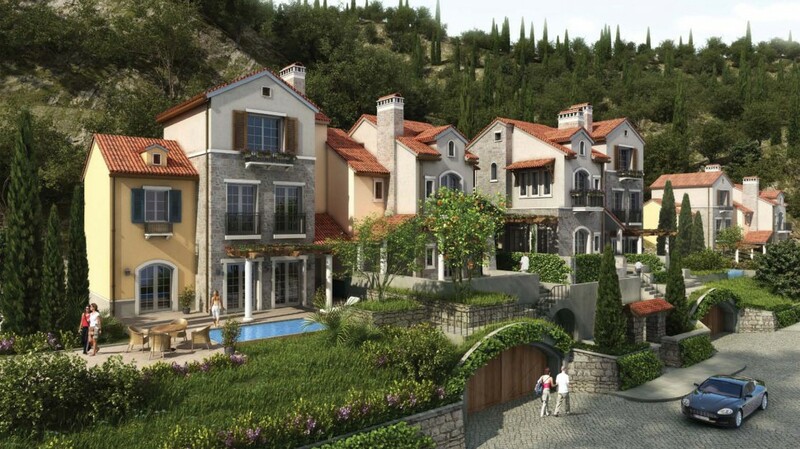 From year-round sporting activities to every sort of amenity – whether you’re after shops, spas, beaches or bars – and an extensive selection of accommodation, Luštica Bay looks to protect and reflect what came before it, updating and enhancing its heritage for the 21st century. With communal pools, ample outside space and stunning sea views, our marina apartments provide portside living at its very finest – each finished to echo the existing architecture of the area. Available as studio, one-, two- and three-bedroom homes, we currently offer ‘E’, ‘F’ and ‘G’ style properties for purchase. ‘E’ marina-side residences are located on the second line from the marina, the perfect place for those who have an affinity to the marina lifestyle, yet value peace and quiet. Our ‘F’ and ‘G’ residences, known collectively as Marina Heights, offer access to a vibrant coastal community – a lively neighbourhood set in the hills above the marina enjoying a panoramic vista and bountiful green areas. 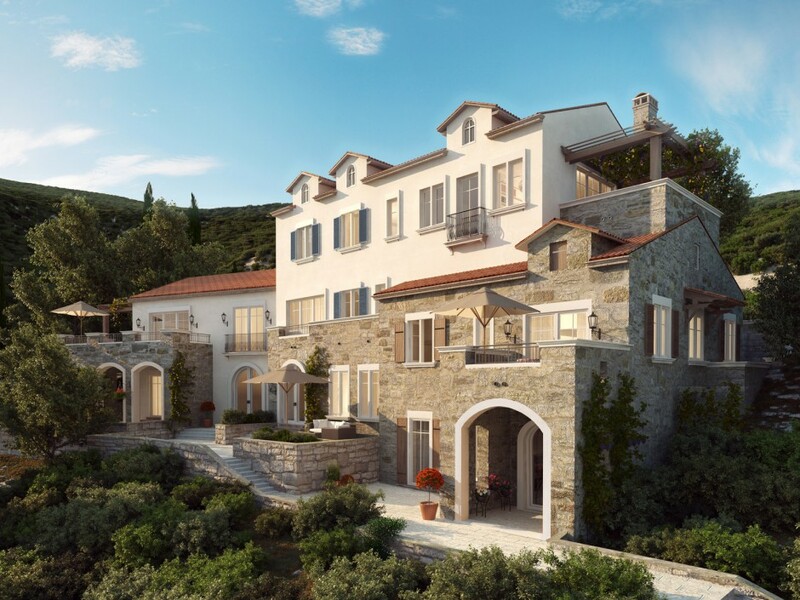 Designed in line with traditional local architecture, the 14 exclusive townhouses of our first phase will boast two to three bedrooms, expansive outdoor areas of up to 90 square metres, garages and private pools – each with enchanting Adriatic views. As the home of healthy, active living on the Adriatic coast, every element of life in Luštica Bay is geared towards wellbeing. 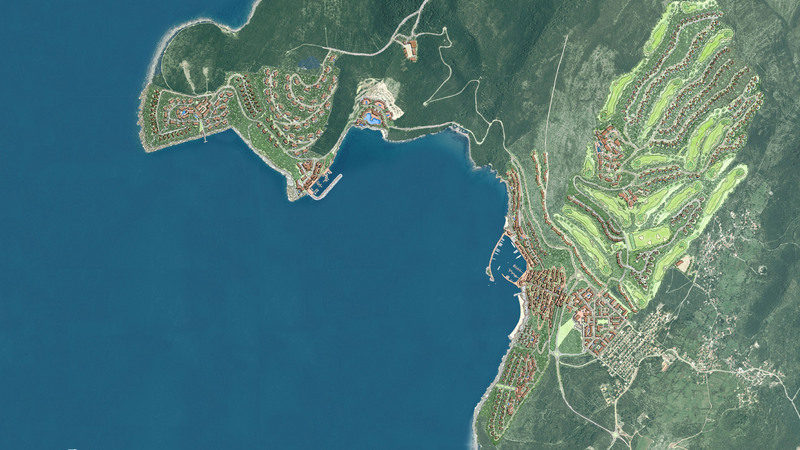 In Luštica Bay itself, residents will enjoy everything from tennis, golf and archery to swimming, sailing and cycling, while the creation of our community will continue with tournaments and games, plus lessons for children. There’ll also be plenty of scope for adventure in the form of hiking and nature trails, a four-kilometre sea wall, coastal kayaking and diving, and skiing in Montenegro’s mountainous inland. When not going after adrenaline, health benefits will continue at the spas and wellness centres, or simply in the chance to take in the therapeutic sight of the Adriatic Sea and the invigorating Montenegrin air from the residences’ many outdoor spaces, our al fresco eateries and pedestrianised boardwalks. Health is at the heart of Luštica Bay, offering residents and visitors the opportunity to make the most of this incredible environment. Like the traditional fishing villages along the Adriatic coast, the heart and soul of Luštica Bay will be the marina and adjacent marina town. With 295 kilometres of coastline, plus a wealth of enchanting islands and bays further afield, there’s no better way to explore Montenegro and beyond than by boat, making a safe, stylish and sociable harbour a must. 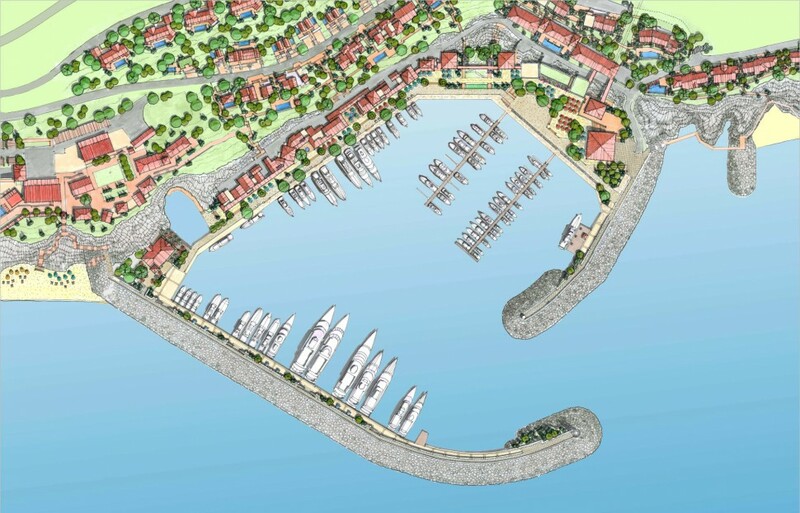 Accommodating boats up to 60 metres long, the area around the 176-slip marina will serve as a bustling base for sailors and land lovers alike – with tiered promenades offering access to a cosmopolitan collection of cafés, shops and restaurants. Smaller vessels can also be accommodated at the charming secondary mooring area, both areas offering 24-hour security, integral boating amenities, and bordered by a collection of marina-side apartments, townhouses and villas.